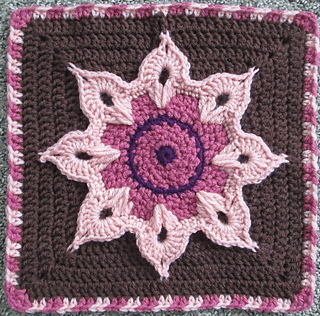 Here is my 12” version of the Sun motif from my September Morning Afghan. 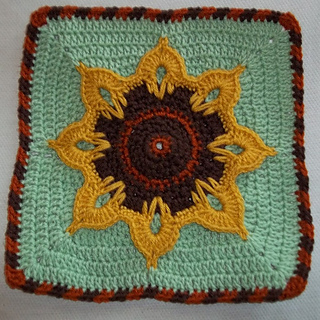 Three-dimensional leaves surrounding a textured center, on a solid double-crochet base. 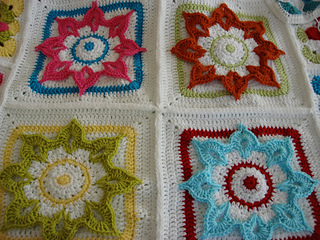 Final round in tapestry crochet technique. 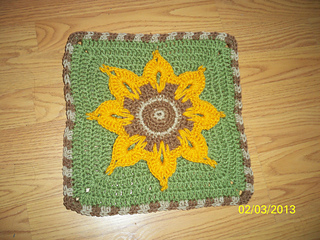 Share photos and comments and get pattern support a the Julie Yeager Designs board. 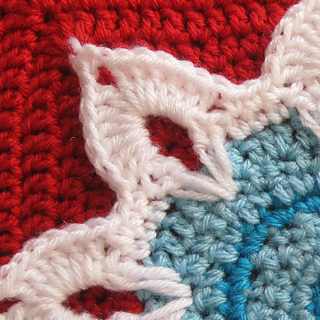 See all my designs at my Ravelry Store.